In the trailer for the upcoming film “Equalizer 2,” there are plenty of action shots of Denzel Washington punching, shooting and charming his way through another high-stakes caper. In a few other scenes, there is a little blond girl who smiles, clutches a teddy bear and hugs her on-screen mother. 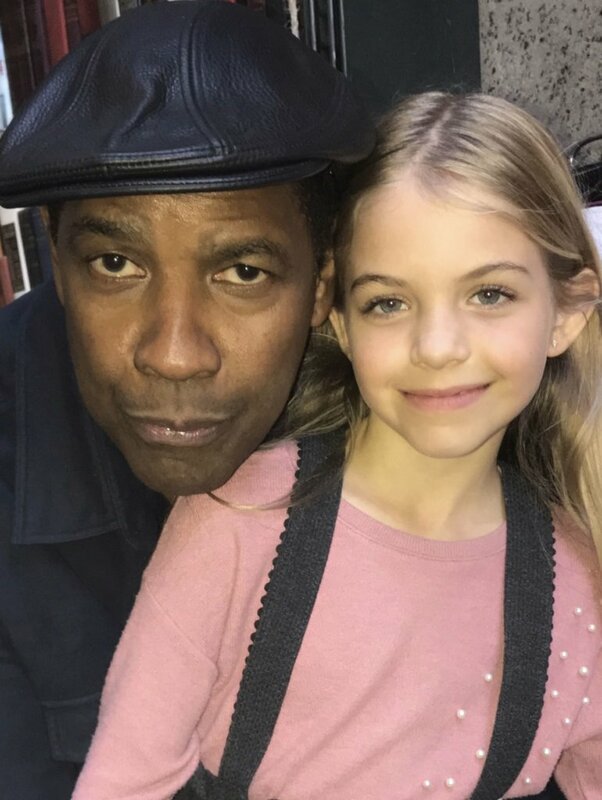 Denzel’s appearance in the trailer is predictable. He’s the star, after all. The little girl? Not so much. This is 8-year-old Rhys Olivia Cote, a girl from Wells who auditioned for just a small part in the movie — she was originally supposed to be just glimpsed among a group of other girls sitting in the back seat of a car. Then Cote’s mother, Tina, got a call from their talent agent. The movie creators wanted to use Rhys in a more substantial role, one that would involve more scenes and a line. “I guess the producers just ended up loving her,” Tina said. Rhys, says her mother, is a natural. “She’s always had that gift of gab,” she said. The contest drew more than a hundred thousand submissions. Rhys’ photo made it to the top 15 and a show business career was born. According to Tina, Rhys narrowly missed landing some roles because she is 8 years old instead of 9. At 9 years old, child actors are allowed to remain on set longer than younger children. It’s a showbiz rule Rhys’ parents didn’t even know about at the time. Rhys turns 9 in July and will continue to pursue movie roles, according to her parents. The actress can be found on Instagram at @rhys_olivia.